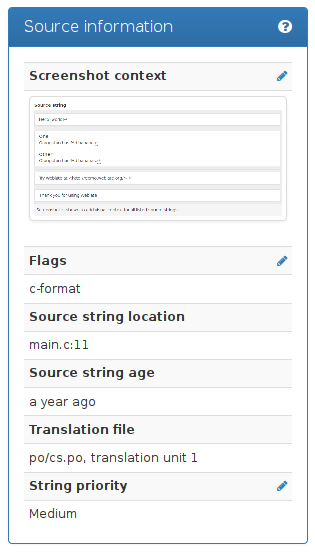 Default set of quality check flags is determined from the translation Component configuration and the translation file. However you might want to customize this per source string and you have the option here. 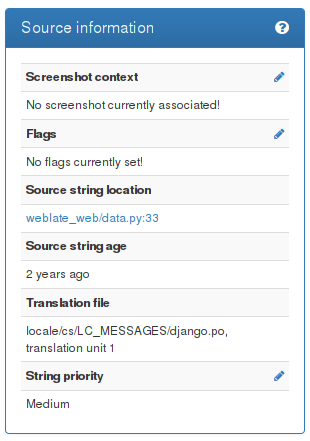 You can upload screenshot showing usage of given source string within your application. This can help translators to understand where it is used and how it should be translated. 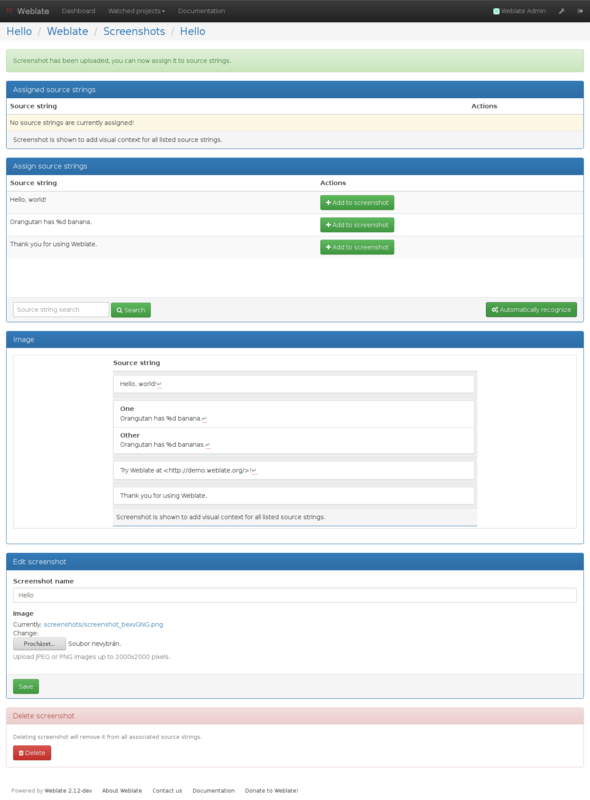 In addition to Reviewing source strings, screenshots have separate management interface. You can find it under Tools menu. 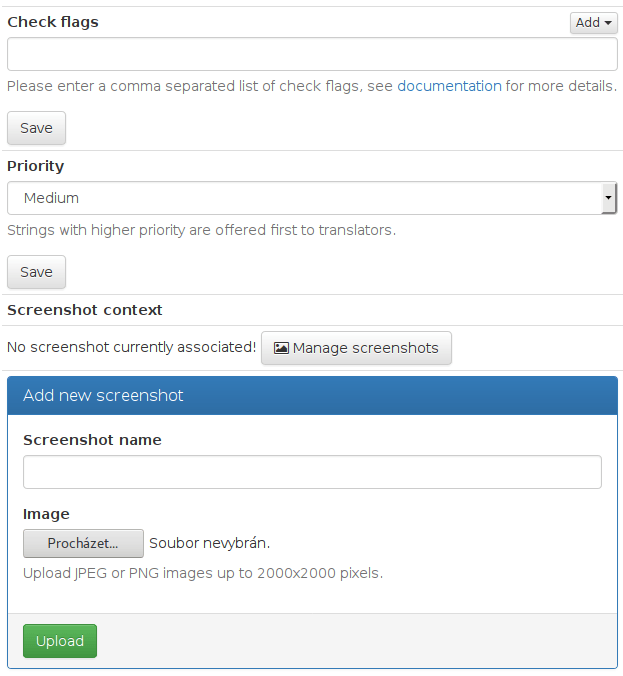 This allows you to upload screenshots, assign them to source strings manually or using OCR.